Sweet Sincerity: DAD.......THE UNTAPPED RESOURCE!!!! I feel REALLY REALLY silly right now...Why? Because, I have been working my tush off, strategically trying to improve my jewelry making business in anyway possible for the past I DON'T KNOW HOW LONG, and ALL THIS TIME, I forgot something really, really important--my very own father has a MASTERS DEGREE in Business. Perhaps I'd forgotten this little essential tidbit because over the years the family joke has been that Dad is a treasure trove of fascinatingly useless information. Let's just say he would DOMINATE if he ever appeared on Jeopardy! However, I am GRATEFUL that I somehow miraculously remembered this incredibly useful factoid, and asked for his EXPERT business advice! Over lunch (which he will now be able to deduct from his taxes as a consulting business expense-LOL) he discussed several business tactics that I could employ to help me achieve my long term business goals. 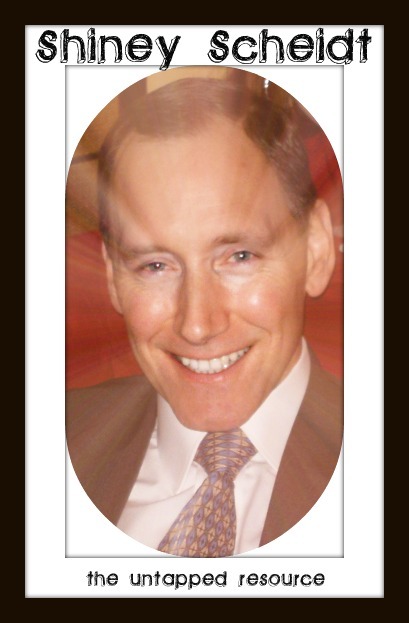 I was amazed at the real world application of all his pearls of wisdom (or "pearly wisdom" as my husband says, ha ha ha). He even agreed to do an analysis of my business and offer suggestions on how to grow my net profit! What can I say....I LOVE THAT MAN!!!! As it turns out, my sister AND my husband are BOTH planning on coming with me to help set up my booth and sell my jewelry at THE BIG THAW my very first craft fair in Portland, Maine on Saturday, April 16th. I'm trying to envision how we are all going to fit in the 8x8 space allotted for Sweet Sincerity Jewelry! I am sure we will work it out once I come up with the design for my display! Ridiculously enough, what am I most anxious about my first craft show? Always the fashionista, I am currently fixated on WHAT TO WEAR! I've actually even googled articles about what to wear to a craft fair! I was thinking of making up custom shirts for my sister and I that have my Sweet Sincerity logo on them, perhaps wearing a button down collared shirt underneath, business pants and heels for more business like attire, and of course plenty of FABULOUS JEWELRY. I also have a pretty nutty idea for my husband. I was picturing cute little Mateo all dressed up in a three piece suit catering to the women that shop my booth, offering to help them try things on and basically being my Sweet Sincerity MAN SERVANT! Seriously...he's adorable and sweet-What woman wouldn't want to buy jewelry from him? Now, of course, I have not yet talked to him about how he feels about my crazy idea ...that might throw a wrench in my otherwise flawless business plan! :) LOL! In other really exciting news, my metalsmithing teacher, Amanda Coburn, just started up a new ETSY SHOP in addition to her Artfire shop! She's already sold one ring on Etsy and she just started up her shop a couple of days ago!!! Please, check out her gorgeous selection of rings and pendant necklaces in her Etsy shop. I chose a few pictures of pieces she currently has listed there to show off her amazing talent! So, apparently, the word is getting out among my family and friends about Sweet Sincerity. Because of this, I have had the privilege and opportunity to adorn my friends with my jewelry! I have to say it feels SO GREAT to see my family and friends wearing Sweet Sincerity Jewelry. It just makes me proud that I could help make them happy and look great! 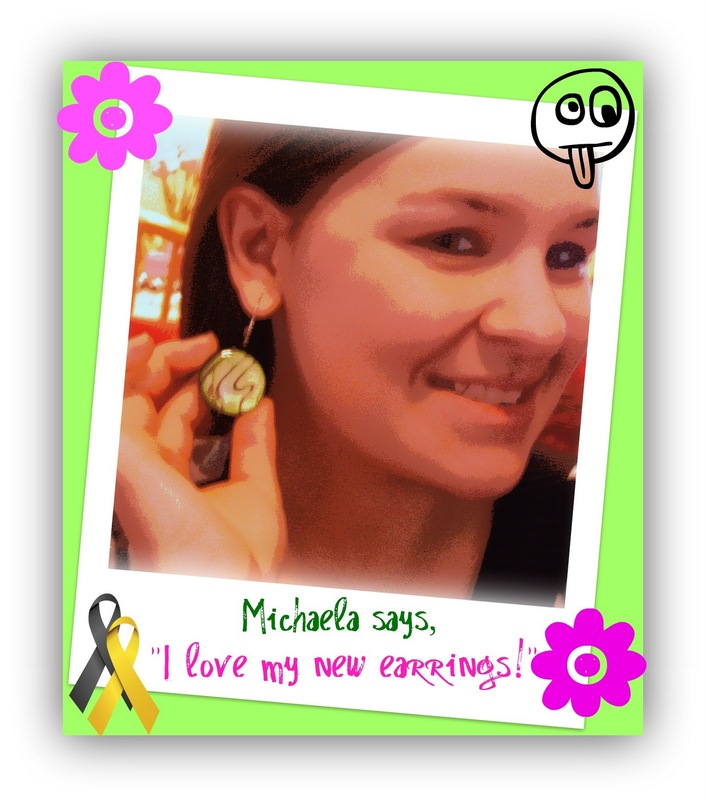 Check out a picture of my friend and adopted little sister Michaela, with a pair of my Tropical Vacation earrings on! Today, she helped me edit photos, name my Driftwood Pearls Bracelet and Earrings Set, and use extra coupons at one of my favorite craft stores! My friend Kaela also came over today and shopped my dining room table where I had all my jewelry laid out, ready for her to look over! I DEFINITELY need a better display so people can come over and "shop my house!" Right now my table-top display has the "could you pass the salt with the Swarovski crystals?" kinda feel to it... Not ideal! My newest brilliant idea and business goal is to post ONE NEW ITEM PER DAY in my Etsy shop. That will take consistency and persistence...neither which are my most dominant qualities! :) I also came up with the idea to have a promotion on MY NEW ITEM OF THE DAY. You will get a 25% discount on the ITEM OF THE DAY if you buy it within the first 24 hours that it's listed! I thought that would be a fun way to promote my a new item, create some excitement about the shop on a daily basis, and possible get some more sales! Today's Newest Listing is.....my Driftwood Pearls Necklace and Earrings Set! Use Coupon Code BIGSPENDER at check out for 25% off your purchase until tomorrow at 12:00pm. Great blog, what a handsome dad and beautiful sister! Your blog is so cool to read over coffee! I'm coming to the craft show too! I will help take care of your sisters baby! Rose, we all must have really good genes or something! (LOL-rose is my MOM) I'm glad you like reading my blog over coffee, and I am psyched that you are coming to the craft show!!!! Who wouldn't want to take care of baby Kahlyn, really? Love your blog, Bethany! You make me laugh! And I'm loving the earrings you made. I'm sure you'll be successful at the Big Thaw. It sounds like it's going to be such fun. I rarely have enough stuff to do a show, but I'm seriously considering making the trip just so I can meet some of my fellow Maine Team members!